Our Mission: Giving children's dreams the Wright wings. 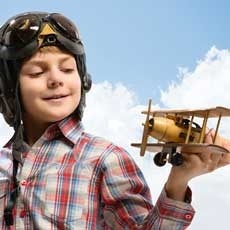 Our Purpose: To operate an aviation toy museum for the acquisition, protections, preservation, and display of aviation-related toys; to provide career guidance and encouragement to youth, particularly in the field of aviation; to open the doors of opportunity for young people regardless of gender, race, or economic background. Adults: $5 (includes one child free). Additional Children 3-14: $3 (adult must accompany).